We will have an exciting day of events at the Festival. Most are held at the first floor room at Patisserie Valerie cafe, some at the Be At One bar – both are on the festival square. Read on for further details and how to book your free place. An exploration of the best alcohol-free beers on the market. Brought to you by Wise Bartender. 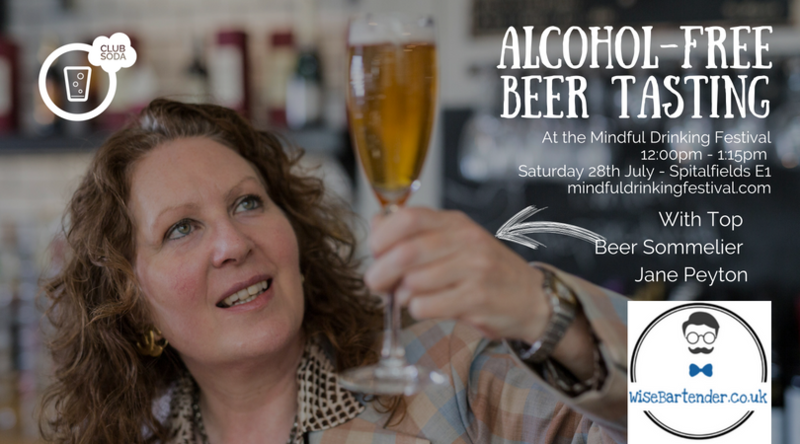 Join beer sommelier Jane Payton in tasting the best alcohol free beers at the Festival. Try the lagers, stouts, pale ales and other styles and find your favourite. 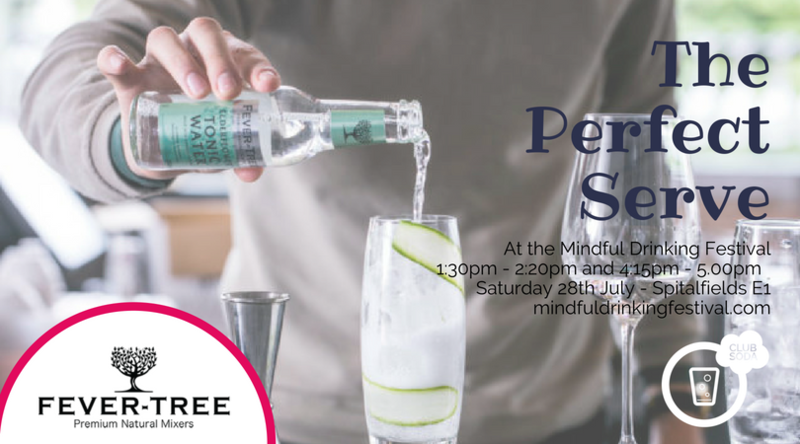 Treat yourself to an unexpected trip down the botanical rabbit hole in association with Fever-Tree, who will be hosting this tasting session introducing the new wave of distilled botanical drinks. Inspired recipes, new brands and experimental flavour combinations that you’ll want to try at home. Four bestselling authors who have changed their drinking habits. Brought to you by Chillio – chilli and fruit blends that deliver a unique, refreshing and sophisticated drink, designed for your Mood, Palate & Soul. 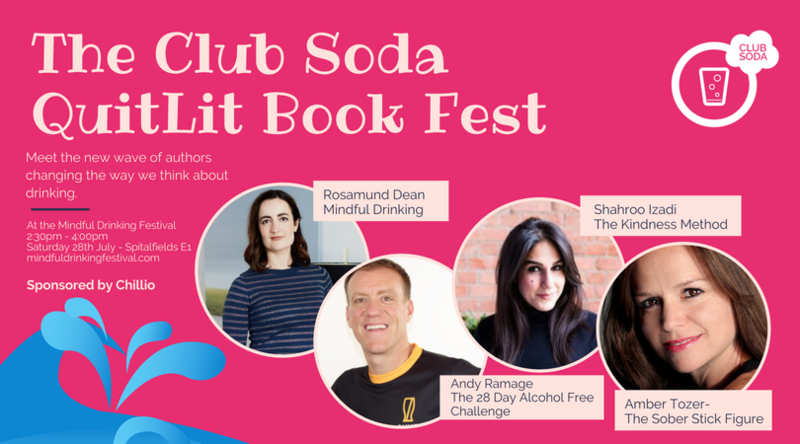 Our four authors are: Rosamund Dean (Mindful Drinking: How Cutting Down Can Change Your Life), Andy Ramage (The 28 Day Alcohol-Free Challenge), Shahroo Izadi (The Kindness Method) and Amber Tozer (The Sober Stick Figure). 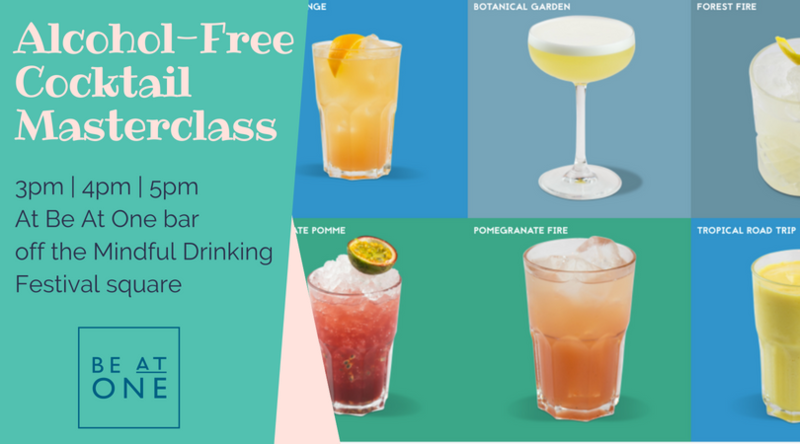 Alcohol free cocktail masterclasses with Be At One Bar! Each of the three mini masterclass sessions will be 30-45 minutes long. Be At One bartenders will show you how to make one or two mocktails (Bitter Orange & Passionate Pomme). The guests will also get little tasters of the cocktails to try. At 3pm, 4pm and 5pm. Want to know what a future you could be like with less booze? 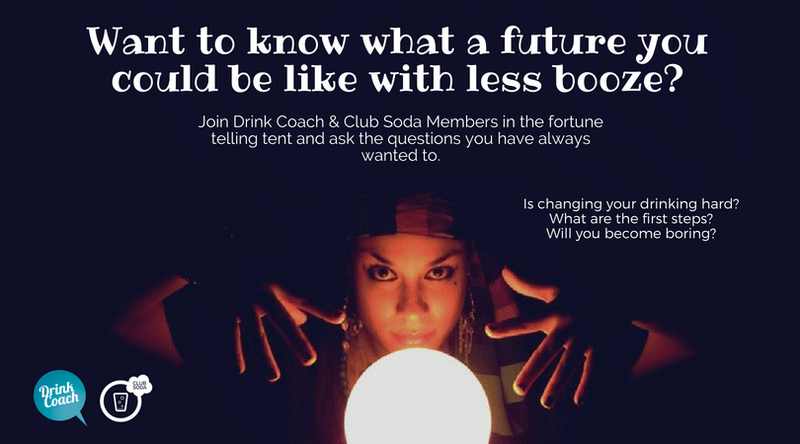 Join Drink Coach & Club Soda members in the fortune telling tent and ask the questions you have always wanted to.